The band, Pussyfoot, welcomes retro rock back to our playlists in the band’s latest album, Religion. Pussyfoot retrieves everything we miss about rock, and more! 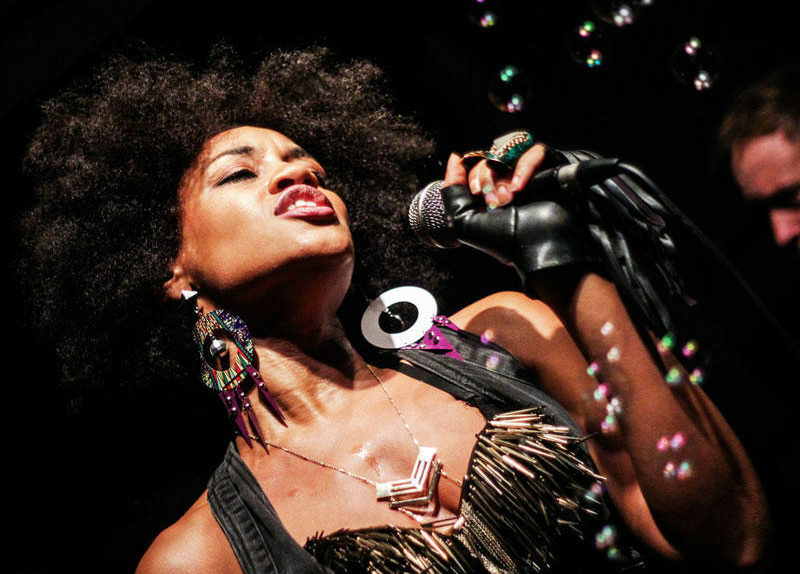 Singer Jamera Simmons, guitarist Julio Miranda, bassist Monty Conner, and drummer Joey Smith work together to bring the magic of soul, the fun of pop, and the grit of rock-and-roll to 2018. Religion, the first song of the album of which it’s named after, renders a fun, familiar melody that is bound to take listeners back to more youthful days. The fact that the song shares a name with the album is actually quite genius, considering the nostalgia of the song’s tone, and its relationship to the rest of the album, which similarly begs listeners to reminisce and even feel a bit sentimental. Religion’s romantic lyrics give its listeners a reason to smile and dance, which is a great way to lead into the rest of the album, including the following song, More. This is a sassy song that adopts the lyrical potency one expects to find in hip hop. 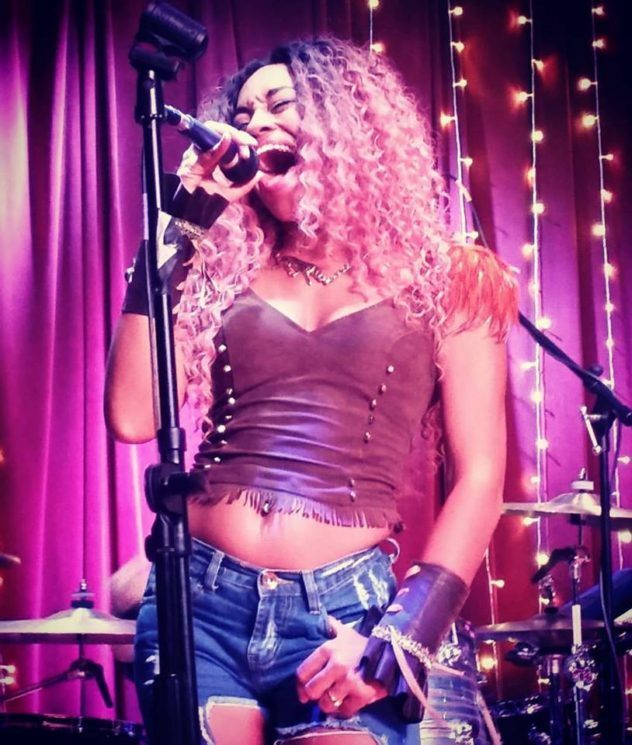 As demanding as Jamera Simmons is in this song, she lulls listeners into a soothing hook, and goes on to execute the song with a heavy-handed finish, including a fierce, yet angelic belt into the microphone. The first time I heard this song, I couldn’t help but think how powerful Jamera’s voice was, and how awesome it was that she hadn’t been snatched by the jaws of the music industry, and coaxed into commercializing herself to draw in bigger crowds. 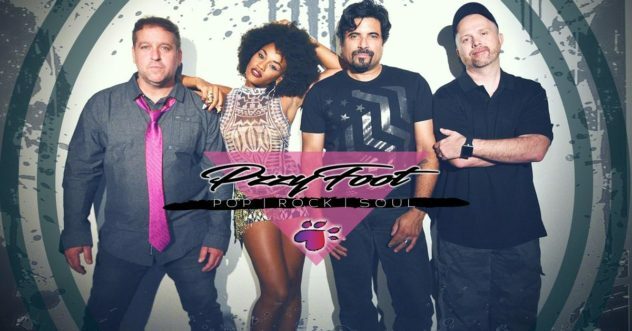 While it’s true Pussyfoot’s following is not as large as other bands, no one can deny that Pussyfoot is an unleashed musical source that borrows a collection of loyal ears from around the nation. All of their songs are organic and rich with pieces of reality we can only hope to find on the radio. Next, listeners get to enjoy Why Ask Why. With a peaceful start, a catchy chorus, and a dark hook, this is perfect for artistic souls looking for something to create to (or more analytical persons looking to explore their rebellious sides). This song is a bit of a roller coaster; risky, fun, and listeners just have to go through it one more time! Don’t click the repeat button just yet! The sixth song of the album, Morning has some similarities to its predecessor. Morning has a relaxing vibe to it, the latin-inspired guitar drops listeners in right beside the singer herself. Every note and every lyric strikes the listeners’ heart strings, and forces them into a dance. As listeners near the end of the album, they may enjoy more fierce executions. Jamela Simmons belts into the mic in With You, as she delivers a message to someone who may have attempted to tear her down at some point. Many listeners are able to relate to being on the other end of someone else’s negligence. This song encourages listeners to stand up for themselves in all abusive situations, which makes the song pretty therapeutic. Animals follows with just as much attitude as the previous song. This song is dark, fun, and all-inclusive, promptly inviting listeners to jump up and rave with the guitar, which rips wildly along to the singer, who acknowledges popular songs by Beyoncé in her lyrics (as she does in Dance). It’s likely impossible for listeners not to dance to this one! The second to last song is the softest of them all. Avatar flows like fairy tale. This song is smooth, yet stands strong as a lead to the finale of the album. The song can be interpreted as a commentary on the world's unhealthy emphasis on women's beauty standards, and its effect on young girls. Avatar has some dark undertones, but Jamera Simmons manages to keep its dramatic, yet mellow themes afloat by showing off her velvety vocal skills. Supergirl is the last song of the album. Listeners are relieved from the more calming tones as they segue into a fun, upbeat song with reggae influences. This is a perfect example of Pussyfoot's pop-rock style. The guitar solo at the bridge of the song locks listeners in, and when Jamera chimes in, it's hard not to sing along! Pussyfoot's new album descends from amusing, colorful tunes peppered with pop, rock, and soul. Can't wait to take a listen? 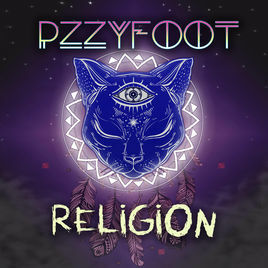 Check out Pussyfoot's Religion album below! Previous Previous post: Christina Long(Blkgrlswurld) is interviewed by Vice!